There was a time early in 2017 where, despite all of its older competition, PLAYERUNKNOWN’S BATTLEGROUNDS (PUBG) was seen as the one and only relevant battle royale experience. 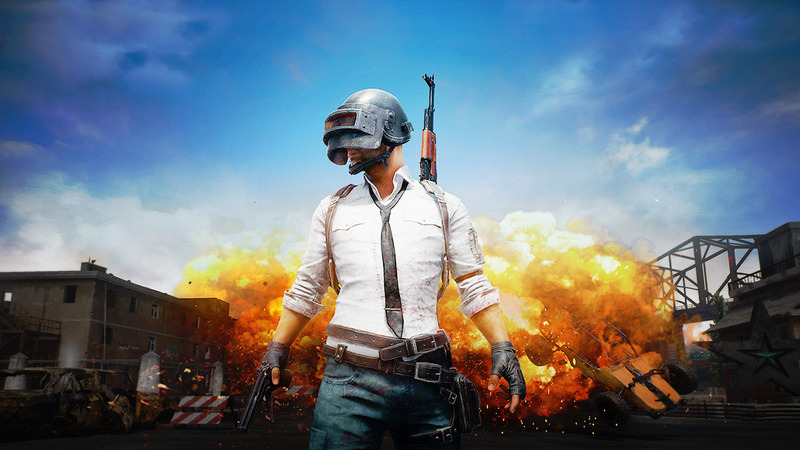 Although it was still in Early Access, PUBG burst onto the scene and eclipsed every other game in its genre – let alone every other video game on the market – to become the most talked-about, most played video game in recent memory. It wasn’t the prettiest game, nor was it the most fluid, but PUBG was a pioneer: a battle royale that could be played somewhat more casually than its contemporaries. This surprise hit brought the genre’s heart-in-mouth tension to the masses, whose appreciation was obvious as the game went on to break all manner of records in a short period of time. PUBG’s incredible popularity saw the battle royale genre as a whole grow at a ridiculous rate, with gamers testing its contemporaries to see how they compared and developers coming out of the woodwork to try and cut themselves a slice of what was still very much PUBG’s pie (the latter being a trend that is still going on today). For all of its dominance and record-shattering, though, PUBG still had its drawbacks: it was still in Early Access – as such, it wasn’t the most fantastic of video games from a technical standpoint – and it was still only available on PC. Other developers trying to cut into the market saw what was good and bad about PUBG and were able to incorporate that into their own offerings; they had the foundation laid for them, and they were able to build upon it in ways – and at a rate – that PUBG Corp. simply couldn’t. Without a doubt, PUBG’s most successful challenger thus far has been Epic Games’ free-to-play Fortnite Battle Royale, which added a building mechanic – and the verticality that comes with it – to the tried-and-true formula. By doing so, Epic added multi-dimensionality to battle royale that rewards players not only for their gun skill, but for managing their resources and learning to build their way out of situations that would have been certain death in PUBG. Fortnite also features a more vibrant art style and, as a free-to-play title, a considerably lower barrier for entry; as such, gamers of all ages and skill levels have taken to it like moths to a flame, to the point where it’s empirically more popular than PUBG ever was. Although Fortnite does owe a considerable deal of its success to its user-friendliness and the support it’s received from one of the games industry’s most popular individuals, Tyler “Ninja” Blevins – as well as celebrities including rapper Drake and World Cup winner Antoine Griezmann – it’s also difficult to look past the elephant in the room: Epic Games released it on Mac, PS4, Windows and Xbox One all at once. Furthermore, the company has since ported it onto mobile devices and the Nintendo Switch, and continues to deliver updates, improvements and new content seemingly by the day. Epic even went as far as to release merchandise for the game. It’s free to play, it’s easy enough to get the hang of, and in the space of just over a year, it’s everywhere. In comparison, PUBG only reached the PlayStation 4 last December, a year and a quarter after Fortnite did. Hell, it was only available on Windows and mobile devices until September, when it became little more than an arrow in Xbox fans’ “console war” quiver. Fortnite spent 14-and-a-half months as the biggest – and arguably the best – dedicated battle royale experience available to PlayStation 4 players; that’s a long, long time to be able to draw fans in and make it difficult for them to leave. Unfortunately for PUBG Corp., Fortnite isn’t even the only challenger that it’s facing in the PS4 market. Two months before PUBG’s PS4 release, Activision and Treyarch released Call of Duty: Black Ops 4, which – in keeping with the meme-level trend of shoehorning a battle royale mode into new games – included a challenger of its own: Blackout. Along with Activision’s massive marketing budget and the slick, smooth gameplay that the Call of Duty series is so well-respected for, Blackout gives series fans a healthy dose of nostalgia in the form of a map comprised of some of the Black Ops series’ most beloved arenas. Although it’s not likely to reach the same heights as Fortnite given the Call of Duty series’ yearly development cycle, Blackout is a worthy entrant into the battle royale genre in its own right. Aside from the very obvious brand recognition that comes with the Call of Duty name and the nostalgia of running through areas like the Cargo Docks, the Firing Range and Nuketown Island, Blackout is PS4 players’ first look at a “realistic” modern battle royale experience. The mode’s consumable Perk system allows for the level of extra strategy that goes missing when you remove the building mechanic, and the mode plays extremely smoothly – something that PUBG can’t always boast. All of that, and it’s got a Multiplayer and Zombies modes for when players are tired of the battle royale mode. It’s a pretty damn good offering. Whereas Fortnite is essentially PUBG’s polar opposite, Blackout is a title that looks and feels much the same as PUBG, albeit on a somewhat smaller map. Again, Blackout is unlikely to reach Fortnite-esque popularity, but there’s no mistaking facts: while PUBG did have almost a year to win Xbox players over before Blackout could stake its claim on the platform, Blackout had almost two whole months to win PS4 players over before PUBG launched on PS4. Players can make a whole hell of a lot of progress in the space of two months, and it’s never easy to abandon that and start again on a similar game – and why would they when they’re playing the more popular of the two? While Blackout and especially Fortnite claimed their respective slices of the growing battle royale market by offering fresh gameplay and ongoing support , PUBG Corp. has rested on its game’s laurels as the game that popularised the battle royale genre, looking to solidify its business interests without future-proofing the game itself. The game is just as clunky and rough around the edges as it’s ever been (an issue that’s only exacerbated when you look at its competition), and is an unremarkable game in general that’s quite easy to move on from – especially if you’ve had the time and opportunity to establish yourself in one of the other battle royales on the market. Unfortunately, PUBG’s less aggressive marketing – when compared to its competition – has left it sorely lacking the brand recognition among casual PS4 gamers that it has enjoyed among the Xbox and PC crowds. When you’re competing for market share against juggernauts like Fortnite and Call of Duty, and you’re coming into the market well after both of them, any little advantage you might be able to leverage is important. Of course, the game was included in a bundle that saved players a decent amount on a 12-month PlayStation Plus subscription (AU, UK, US), but that’s nothing compared to the Xbox One S console it was bundled with when it came to Xbox. The more you look at the situation, the more it looks like PUBG Corp. knows it’s going to have a rough time on PS4. Gamers have a short attention span and, for all of PUBG’s successes and contributions to the battle royale genre, it’s easy to see PS4 players asking “what has it done for me lately?”. Unfortunately, PUBG Corp. simply doesn’t have a good answer. PUBG may have been a pioneer on PC and Xbox, but on PlayStation 4 it’s just another battle royale in the pack, whose outdated design, lack of polish and high barrier for entry mean that it has an uphill battle ahead of it if it wants to corner any portion of the PS4 battle royale market. PUBG has entered the PS4 market as an ageing legend, relying on its name alone rather than giving players a compelling reason to give it a chance; frankly, it’s just too little, too late.